1. People who censor AIMI's online advocacy for human rights believe that you do not care about brutality victims who are not Caucasians. Therefore, the censorship team removed certain photographs from this blog that depict whites killed by police during their psychotic episodes but left photos of the black and brown victims. A minus sign usually appears where photographs were stolen from Dog Justice blog. 2. Nazis see all indigent and working class people as commodities whose worth is determined by their contribution to an efficient nation. They consider the elderly and handicapped to be "useless eaters" like Hitler did. In fact, Columbia, South Carolina recently announced plans to coral homeless people, among whom the mentally ill are overly represented, into a 240-bed concentration camp at the edge of town. That was also Nazi Germany's first step in its "Final Solution" - the isolation and massacre of its citizens who were mentally ill, physically handicapped, or elderly. Before exterminating millions of Jews and Africans, roughly 300,000 mentally challenged people of all races were eliminated. For Columbia to intern its most vulnerable citizens in a concentration camp sets a dangerous precedent that could spread throughout the nation. Please object. 3. The censorship team also removed our Dog Justice, which is the shape of a dog formed by the lines in a person's fingerprint. With few exceptions, the drawing was positioned near the beginning or end of articles in "Dog Justice for Mentally Ill" blog. The picture of DogJustice is meant to convey the fact that dogs have a protected right to life in the United States that is ordinarily denied to people with mental illness and development disabilities. 4. I wrote and spoke about the photo thefts in "Justice Gagged" blog and at our "Assistance to the Incarcerated Mentally Ill" Blogtalkradio show. The links to the article and the radio show are below. This article has three(3) photos, eight(8) urls, and nine(9) paragraphs. 5. Some may reason that a concentration camp like Columbia erected would supply food during the winter and housing where the homeless can live in safety. But imprisonment is no guarantee of safety. The local and federal government colluded to cover up the secret arrest and murder of my mentally, physically disabled brother, Larry Neal, in 2003. The Justice Department was in direct overview of Memphis Shelby County Jail at the time, yet Larry's family is denied any accountability whatsoever for his kidnapping and murder, and we endure censorship and persecution for making inquiries and because we advocate for justice regarding other offenses against mentally challenged Americans. 6. I have published thousands of articles and emails since Larry's death to warn Americans that if no accountability is demanded for mentally challenged people who are continually killed by police and those who suffer behind bars, the rights of life and liberty for all citizens are jeopardized. Nearly a decade ago, I realized that concentration camps and possibly genocide are planned for indigent and working class people of all races, beginning with those who Nazis perceive as being "useless eaters" - disabled people and the elderly. In January 2009, Rep. Alcee Hastings (D-FL) introduced H.R.645, proposing six concentration camps in America. The bill died in committee. In 2011, Congress passed S.1867 with provisions for Americans' indefinite military detention without trials (introduced by Sen. Levin (D-MI). NDAA was signed into law by the president on New Year's Eve a couple of months later. Now Columbia, South Carolina plans to intern its homeless population in concentration camps in the absence of trials (introduced by Councilman Cameron Runyan, also a Democrat). It appears that the United States is returning to its roots as a penal colony and that mentally challenged people are first to go, as usual. 7. "Dog Justice for the Mentally Ill" blog is not another appeal to officials to please be fair and humane to mentally challenged Americans. It is an appeal to the public to demand that everyone's human and civil rights are honored, including the mentally ill. Through select news stories, we prove that the mentally ill are marginalized people who suffer from systemic discrimination. They comprise over 50% of the police violence victims as well as over 50% of America's prisoners. AIMI demonstrates that they are reserved untreated to become prison commodities, although it is less expensive to treat people than to trap them in a revolving door to prisons and hospitals. AIMI offers alternatives to incarcerating and killing mentally challenged people: (a) build and re-open mental hospitals; (b) reinstate Medicaid or another insurance to cover overnight hospital stays for indigent people in psychiatric treatment facilities; (c) institute assisted outpatient treatment (AOT) programs; and (d) use specially trained police to conduct lunacy arrests. 8. As you look through "Dog Justice for the Mentally Ill" blog, please notice the minus signs left when cyber stalkers removed pictures of murdered Caucasians and our graphic of DogJustice. Think about the combination of censorship, concentration camps, and mass murders targeting specific populations. Please don't be Nazi, America. Google, They Stole DogJustice from My Articles! Over 500 members strong and growing. Please join today. Three(3) photos, eight(8) urls, nine(9) paragraphs. I will read this article on "Assistance to the Incarcerated Mentally Ill" at Blogtalkradio, stalkers, so it is not advisable for you to change it. You will note minus signs throughout "Dog Justice" blog. Photographs were removed from each position where a minus sign appears. My work for the incarcerated mentally ill and those who are at risk for incarceration is viciously censored. 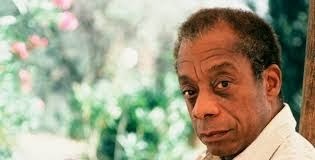 As James Baldwin said, "The victim's testimony must therefore be altered." Dog Justice blog carries testimony by Americans of all races who are victimized and discriminated against for reason of a common, treatable health condition - mental illness. Thank you for helping to give Assistance to the Incarcerated Mentally Ill.